Pink Ribbon Merchandise Giveaway: see if you won the cool office supplies. Find out if you won the Mother’s Day Pink Ribbon Merchandise Giveaway! The winner of the Mother’s Day Pink Ribbon Merchandise Giveaway is…. Amanda Backus! Congratulations! Thanks to OnTimeSupplies.com’s speedy delivery, your pink ribbon gifts will arrive tomorrow! So you’ll have plenty of time to decide which cool office supplies you want to give as Mother’s Day gifts — and which you want to keep for yourself! Didn’t win the Mother’s Day Giveaway? Well, Father’s Day is just around the corner! 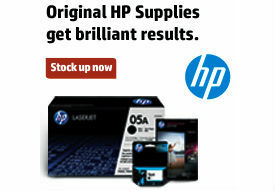 That’s right — OnTimeSupplies.com has something special lined up for the fellas for Father’s Day! Keep watching Office Ink to for your chance to win an awesome Father’s Day gift! Congratulations again Amanda! And thanks to everyone who participated in the Pink Ribbon Merchandise Giveaway! We raised a ton for Living Beyond Breast Cancer and showcased some great pink ribbon merchandise from OnTimeSupplies.com!